Salmonella continues to be a top food safety concern for the turkey industry, the USDA, and the consumer. Salmonella bacteria are the most frequently reported cause of foodborne illness in the U.S. (USDA, FSIS Salmonella and Salmonellosis) and vaccination is an important issue. USDA’s Economic Research Service estimated the cost of all Salmonella (non-typhoid) illnesses in the U.S. in 2013 to be $3,666,600,031 (USDA ERS. Cost Estimates of Foodborne Illnesses, 2016). CDC reported over 1,000,000 illnesses and 380 deaths were caused by Salmonella in the U.S. annually between 2000. While these numbers take into account all sources of Salmonella, four human outbreaks of salmonellosis due to turkey products were documented in 2015, showing the risk of infection due to turkey products remains a concern (CDC Foodborne Outbreak Online Database). 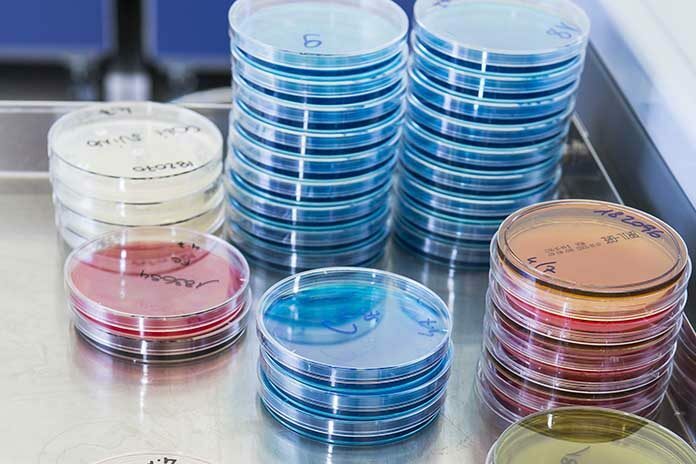 In an effort to reduce the rate of outbreaks in humans, USDA has recently modified the plant testing procedures and Salmonella performance standards. The turkey carcass maximum acceptable percent positive is 1.7% and the comminuted turkey maximum percent positive is 13.5% (FSIS Performance Standards Verification Testing, 2016. USDA). In an effort to better assess Salmonella levels, the comminuted turkey sample size has increased from 25 g to 325 g (FSIS Notice 36-36-16: June 1, 2016). In addition, a neutralizer has been added to the buffered peptone water used in turkey carcass sampling to neutralize any products used in the plant, which may inhibit Salmonella culture (FSIS Notice 41-16: June 8, 2016). Increasingly strict Salmonella standards combined with brand protection concerns, antibiotic free or N.A.E. 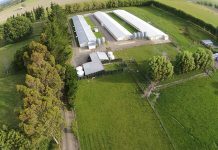 (no antibiotics ever) production increases, and a reduction in antibiotics used in the hatchery and field place increasing emphasis on an effective Salmonella control plan. Controlling Salmonella contamination by strictly relying on plant interventions is no longer feasible. Today, a holistic approach is required. A strong Salmonella control program will address risks at all stages of live production. Interventions to control Salmonella contamination will be in place supported by standard operating procedures and quality assurance to assess intervention effectiveness. A comprehensive Salmonella control program must look at all opportunities of Salmonella entry into the supply chain, including feed, water, ventilation, litter, rodent and insect control, personnel, transportation, biosecurity, hygiene, monitoring, and vaccination. Vaccination of poultry is a critical component of a Salmonella program, providing the hen with protective immunity to control Salmonella infections as well as reducing vertical transmission from the hen to the poult. Both live and inactivated (killed) Salmonella vaccines are available for use and each is an important component of a Salmonella control program in turkey breeders. 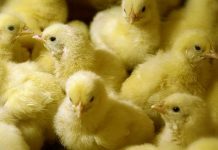 Early application of a live Salmonella vaccine is important as newly hatched poults have minimal intestinal flora therefore, harmful bacteria, including Salmonella, have little competition in the intestine and may more readily colonize birds. Live Salmonella vaccines are applied in the hatchery or on the farm at day of age via coarse spray. Early application of a live Salmonella vaccine allows the vaccine strain to multiply and colonize the intestinal tract. Colonization of the intestinal tract by the vaccine strain provides a competitive exclusion effect against wild strain Salmonella. In addition, live vaccines allow localized immunity in the intestinal tract, primarily IgA, aiding in the ability to respond to a wild strain Salmonella insult. Finally, circulating antibody is produced by the humoral immune system, which can be measured and monitored through serologic ELISA tests. By stimulating the immune system of the turkey, a “memory” is formed, allowing the bird to more quickly respond to wild-type Salmonella challenge. When a live Salmonella vaccine is used prior to the administration of killed Salmonella vaccine, the live vaccine helps to prime the immune system, allowing a quicker and more robust response to the killed vaccine. Research has shown the precursor to Megan Egg, a live S. Typhimurium vaccine licensed for use in turkeys, provides cross protection to other Salmonella serovars. The researchers concluded that protection against challenge with virulent group B Salmonella serotypes was excellent with very good protection against challenge with group D or E Salmonella serotypes, while protection against challenge with group C Salmonella serotypes was marginal but significant. Inactivated vaccines are cultures of organisms that have been killed chemically, by heating or by irradiation. 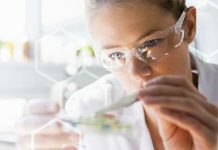 An adjuvant is added to the vaccine to enhance the immune response to the bacterial antigen. Water and oil emulsions are commonly used adjuvants in the preparation of bacterin poultry vaccines. Commercial inactivated vaccines are available for select serovars. Autogenous inactivated vaccines allow the customer to customize a blended vaccine of targeted serovars isolated on the farm. 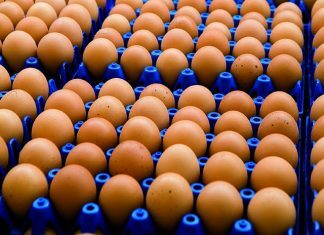 Inactivated vaccines stimulate long-term circulating antibody and also allow the hen to deposit antibody (IgY) into the egg. The deposition of antibody in the egg is referred to as maternal IgY antibody, and helps the poult when challenged with wild-type Salmonella early in its life. Both live and inactivated Salmonella vaccines play a critical role in a comprehensive Salmonella control program. Live vaccines can provide early protection for breeder poults through competitive exclusion, local immunity of the intestinal tract, and humoral antibody production for extended protection. Inactivated vaccines provide focused serovar-specific protection for breeding stock for an extended period of time. Live and inactivated Salmonella vaccines, when used in combination, provide broad protection for breeding stock over the life of the flock. This duration of immunity is evident when offspring benefit from the antibodies passed from the mother hen through the egg. In addition to best management practices, preventive biosecurity and vaccination with live and inactivated Salmonella vaccines are key components of a pre-harvest Salmonella control program. Since contaminated food, and especially poultry products are the major source of human Salmonella infection, vaccination of turkeys is an important strategy to reduce the levels of Salmonella in flocks, which should ultimately lower the risk of Salmonella food-borne illness.